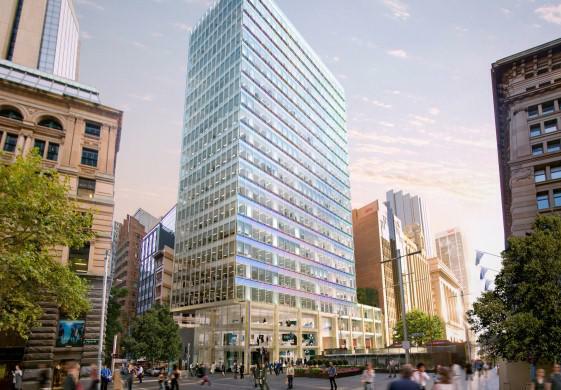 Pembroke Real Estate has announced the signing of a lease agreement with Australia and New Zealand Banking Group (ANZ) to retain its retail presence at the new 20 Martin Place. The international real estate advisor will undertake a complete refurbishment of the building on the corner of Pitt Street and Martin Place that will offer 19,080sqm of prime grade commercial office and retail space over 21 levels. The refurbishment is expected to begin in July 2013 and be completed in Q3 2015. “We are thrilled to have ANZ, one of the largest banking groups and one of the most respected brands in the region, as our tenant at the new 20 Martin Place,” said Jack Clark, vice president and director of the Sydney office, Pembroke Real Estate. Originally built in the early 1970s, the refurbishment is set to feature a high-performance glass facade, new building systems and technology and a reconfiguration of the building core to create more efficient, flexible floor plates. Pembroke is targeting a 5-Star NABERS Base Building Energy Rating and a 5-Star Green Star As-Built Rating and are currently working with local architects Crone Partners and the international team of James Carpenter Design Associates. 20 Martin Place has approximately 2,000 sqm of available prime retail space over three levels.